The event is applied for customers with shopping bills worth from VND 700,000 and above (not applicable for shopping bills at AEON supermarket and GMS). Join us on 8th, 9th, 15th and 16th September 2018. Free participation for children on 22nd and 23rd September 2018 at 11am, 4pm and 8pm. * “The War of Kitchen” musical at 6.30pm on 22nd September 2018. * Lion dance to celebrate Mid-Autumn Festival on 24th September 2018 from 6pm. From 4th to 24th September, with every shopping bill worth from VND 500,000 or above, customers can exchange the flashcard set for children (not applicable for shopping bills at AEON supermarket and GMS). 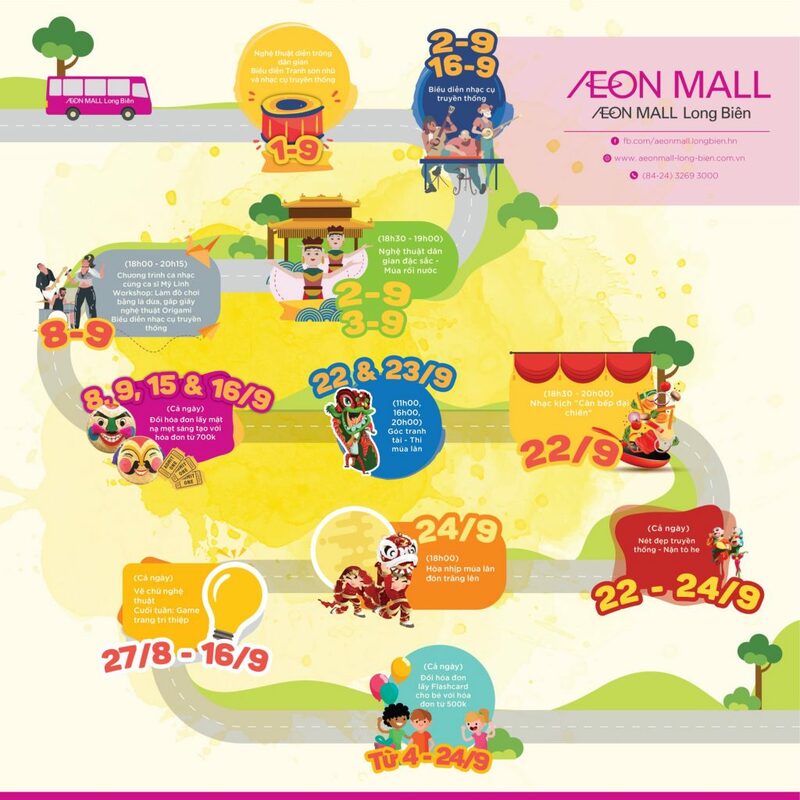 We are looking forward to welcoming all customers and lovely children at AEON MALL Long Bien and join us in this exciting Mid-Autumn Festival!